There is no doubting that Mother Nature has blessed Lonavala in abundance. A popular hill station in the state of Maharashtra, Lonavala is a quaint destination that lures almost every kind of backpackers. The bewitching natural splendor, simplicity that prevails in the entire region, warm-hearted people, a rich culture that makes the place envied by the neighboring towns, sumptuous ethnic food influenced by the eating habits of Yadava, Malva, and Mughal rulers, local legends and folklores, etc., are all parts of holidaying in the town. Although, through most of the time in a year, the place is busy with tourists, yet there exists a certain quietude in the noises and a certain allure in the tourist thronged sightseeing spots. Bhaja and Karla Caves, Lohagad Fort, Rajmachi Point, Tiger’s Leap, an eponymous lake, Duke’s Nose, and Tungarli Lake are to name some of the chief attractions to look forward to. Indeed, being in the place brings you close to the nature and it is an experience to remember for long. However, budget is an aspect related to holidaying that often concerns many. For individuals who do not like to spend a fortune on holidaying, but also want their holiday to be a memorable one, given below are some tips and tricks that can be of help. 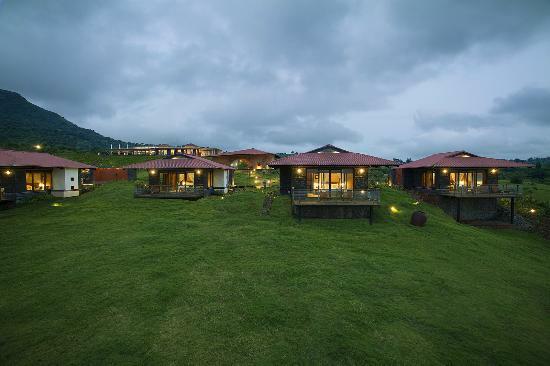 Consider picking from the Oyo rooms in Lonavala. Individuals who crave for a luxury-filled stay, yet do not want to spend too much, at least on their stay, will find the Oyo rooms the ideal options. Using their help, you can find a stay at one of the luxury hotels in a comparatively low tariff, which ideally would have costed you a lot. Instead of picking a luxury hotel, deciding on a cheap hotel is one of the first few ways that strike the mind to lower the expense incurred in holidaying. There is a plethora of hotels and other lodging options in the town belonging a wide budget-bracket. If you are ready to compromise a little on the stay comforts or amenities, try considering picking from the cheap ones. Another tip that generally works is to travel to the destination on off-tourism season. If money is your concern, travelling in off-tourism season results a cheap holiday. From the trains/flight fares to the hotel room tariff, everything is relatively cheaper than in peak tourism season, when everything tends to get costly. Try using the different holiday packages and travel deals. There are different tour and travel companies that at regular time intervals offer different types of holiday packages and lucrative deals. Stay updated with such companies; you could check their official websites for the purpose, and grab them when you have the opportunity. Apart from the above-mentioned, using the price-comparison websites that compare the travel and holiday deals are also helpful. Besides, travelling light, doing a little research about the destinations as well as the Lonavala hotels before embarking on the journey, etc. are some other additional ways to make the holidays cheap. Dimpy Roy is a travel writer working with an Online Travel Guide. She guides travelers to various resources where they can find best Oyo rooms in Lonavala and choose the best one.